Thrift Shopping | Barbie Who? Ahhhhhhhh! I keep meaning to write this blog post, but distractions are everywhere. Sometimes it feels like everything in my life is trying to keep me from being productive. First the pantry flooded, then the baby caught a stomach bug, and now my husband needs help with a class he is taking. Plus people keep visiting from afar! More people from Nebraska have visited me in the last two weeks than have visited all summer. Needless to say, I am not taking it with as much grace as I’m capable. Alas! I digress. On to the Barbie Who? happenings from last week. Last Friday was an interesting day. I expected it to be another boring day, but it turned into quite the adventure. It started off normally, but at lunch time I realized we were out of lettuce and puréed baby food. I decided that a trip to the store was in order, so I dovetailed in a few other stops into the mix. We made a whole afternoon of it. My first stop was to the thrift store on base. 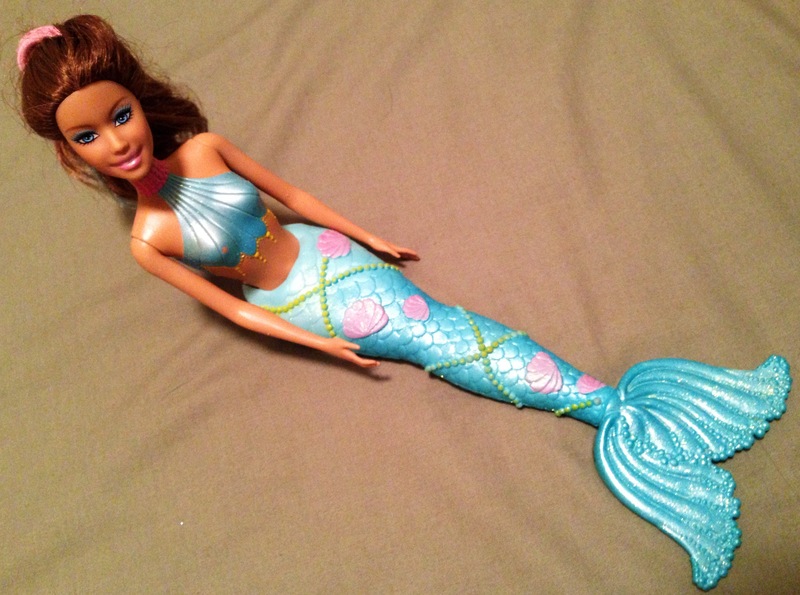 It didn’t have anything new that I could use for Barbie Who?, which isn’t a big surprise. It tends to be boom or bust when finding supplies there. They have quite a few dolls, but they all have blonde hair. I already have several blonde dolls, so I am refraining from picking up any more unless their eyes are not blue. This seems to be a rare combination, indeed, because I have exactly one doll who has blonde hair and green eyes. 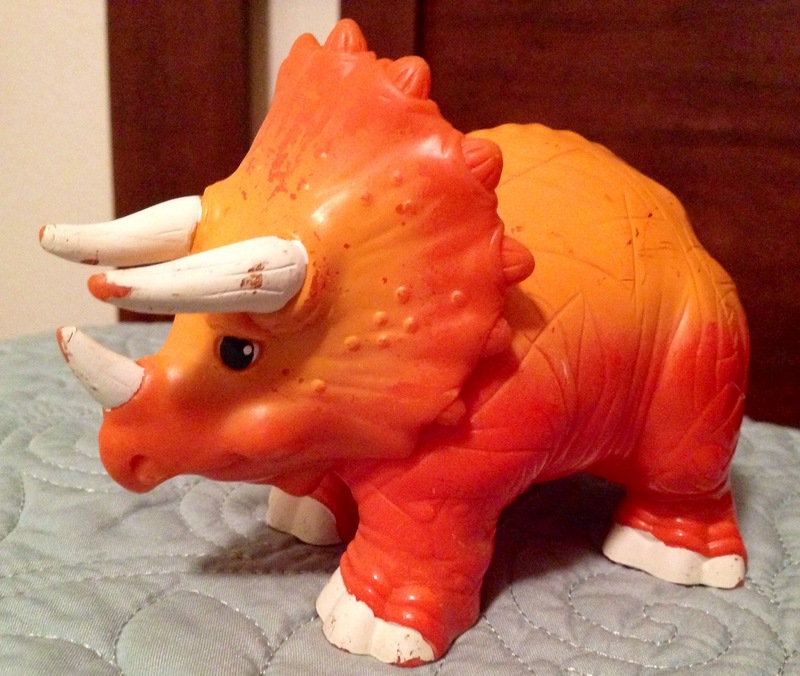 The best find from that store was a triceratops doll. It is scratched up, but I can always repaint it. Dinosaurs have made a few appearances in Doctor Who, but none is more memorable than the episode Dinosaurs on a Spaceship. That story is one of my favorites from 11’s time as doctor, so I absolutely had to have him. I stopped at one more thrift store before getting groceries. They recently reorganized the store and created a completely new area for craft supplies. I rummaged through it and found several skeins of yarn and some small plastic canvas squares. It figures that I would find plastic canvas a few days after buying sheets from a hobby shop; that is just the type of luck I have. 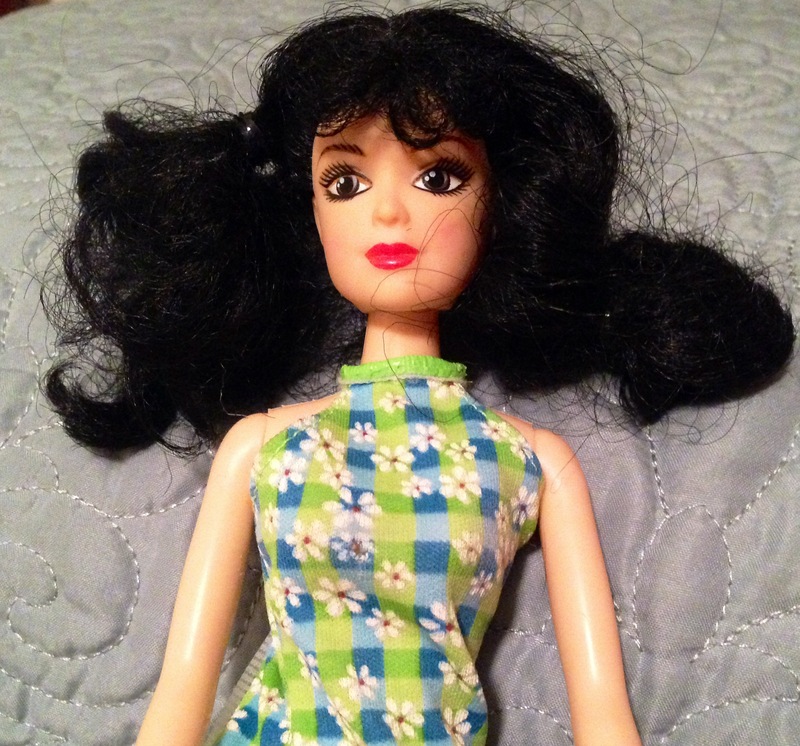 Beyond crafty stuff, I found a doll with black hair. It wasn’t a Mattel doll, but she was the right size and didn’t have blonde hair! It is surprisingly hard to find second-hand dolls that aren’t blonde, so I bought her in a heartbeat. It was happy hour at that store, so she was half off. I only paid $0.12 for her. This is why I love that thrift store; they have the best prices for kiddy toys and have half-off days. It is delightful! The rest of my day was full of boring, non-project related stuff. I tried to visit a farmer’s market, but they had packed up early that day. I went to the grocery store and bought stuff for dinner. I played with the baby and worked on a crocheted Viking hat for Halloween. Blah, blah, blah. I am excited about the finds! It is always exciting to find more than one item I can use for the project. I am excited for that and I shall spend more time planning the first doll. Overall, it was a great day!